At Angela Neel Interiors, our showroom features many vendors, known for their quality and design. Jessica Charles has many choices when it comes to premier custom upholstery, which is why we tak pride in showcasing their various furniture pieces, fabrics and materials. 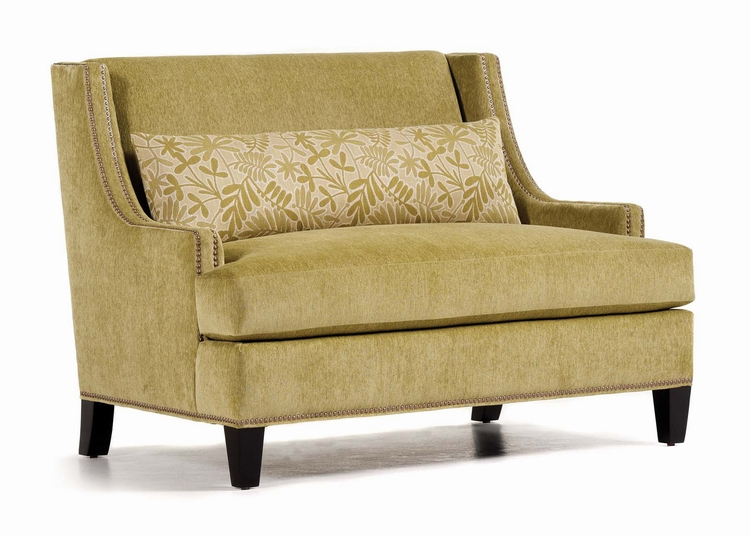 A sister company to Hancock & Moore, Jessica Charles is a furniture distributor that specializes in providing a wide selection of upholstery, that focuses on fashion-forward living. The company firmly believes the idea that your tastes are either trendy and daring, or timeless and chic. The company offers a great selection of swivel gliders and rockers, wing chairs, bar stools, benches, chaise lounges, ottomans, and more. 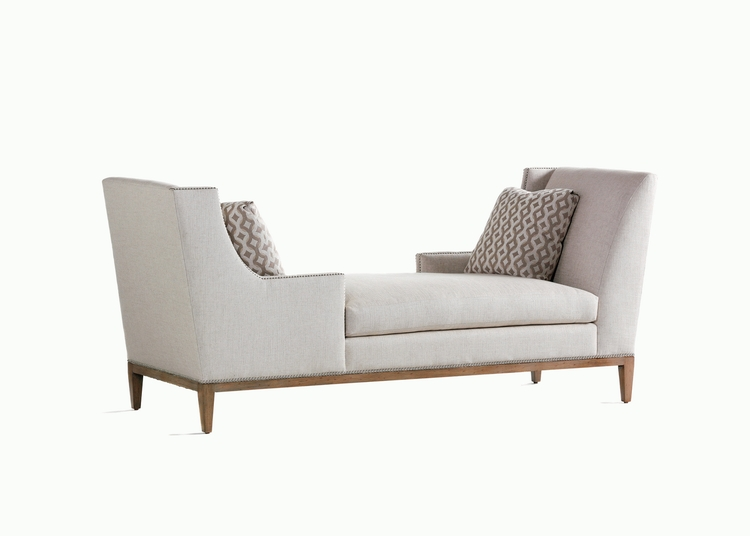 Jessica Charles furniture can be both traditional and contemporary. 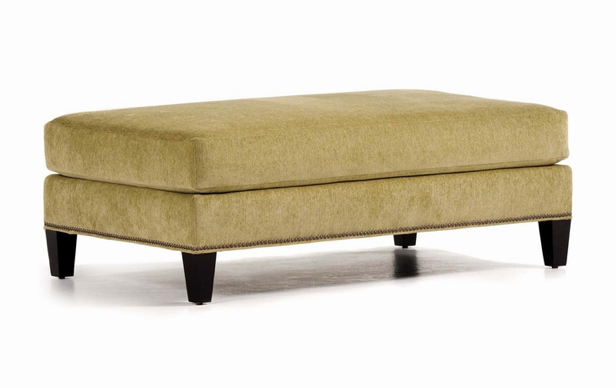 The Collin Cocktail ottoman is the perfect piece to make a statement when you you customize it with a colorfully printed fabric. The Collin Tete-A-Tete lounge chair is both stylish and comfortable, with is “made-for-two” design. The Collin Sette is a comfortable, yet elegant upholstered seat that will complement your living space with its clean design. Angela Neel selects fabrics, wood, and furnishings from Jessica Charles and fully customizes it to create a completely unique piece. Angela Neel’s commitment to quality begins with the craftsmanship. We guarantee your furniture piece will be one-of-a-kind. Angela Neel offers a customizable program where you can build and design your own furniture. At our showroom, you begin with choosing the depth, back, seating arrangement, arm style, and base. We, at Angela Neel, supply samples of modern Jessica Charles fabrics and help you choose the best fabric for your personal taste. Jessica Charles fabrics are interchangeable on the Taylor King and Hancock & Moore custom seating pieces. This program is also available for beds and headboards, benches, ottomans, and dining chairs. Visit our showroom to see and feel the high quality of Jessica Charles fabrics and materials. If you are looking to redesign your home or small space with custom furniture, Angela Neel Interiors knows just what you need. We offer several vendors that have various styles and designs that are sure to grab your attention, including Jessica Charles. Our showroom is the perfect place to touch and feel the fabrics and quality of our furnishings. Feel free to sit on furniture, compare swatches for upholstery projects, take note of the lighting and art pieces, and ask our interior decorators questions. We are here to guide you along the process of turning your space into a haven. If you desire to come into our store, we are open from 10:00 am – 6:00 pm Monday through Friday and Saturday 11:00 am — 5:00 pm, or give us a call today!